Dr. Gloria Chang is a radiologist based in South San Francisco. She has been practicing medicine for more than three decades. Dr. Chang graduated from the Columbia University College of Physicians & Surgeons. She completed an internship at the McGaw Medical Center of Northwestern University, followed by two residency stages at Massachusetts General Hospital and Brigham and Women's Hospital. Dr. Chang is a board-certified specialist in diagnostic radiology. 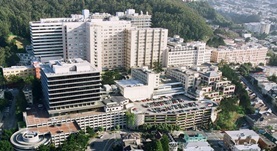 She is currently affiliated with the UCSF Medical Center and the Kaiser Foundation Hospital - South San Francisco.